High Definition Quartet is formed by four very young musicians from the always interesting polish scene. For Bukoliki, their second album together, pianist Orzechowski took the homonymous work by Witold Lutosławski, one of Poland’s major classical composers, researched the original folk material on which it was based (melodies of the Kurpie region collected by Father Władysław Skierkowski, featured on the CD cover) and arranged the five themes presented here. The folk material on which Bukoliki is based is just a starting point though, and the record touches many different styles and formal developments, exploring modern jazz, contemporary music and free improvisation. The opening track – simply titled I – begins with a tight counterpoint of single accents from all the members, until the ensemble coalesces around a brief melodic fragment that pushes the performance forward, flowing in various instrumental combinations that always return to the main theme, used as an anchor for collective improvisation. It’s clear from the start that this is a true ensemble effort, with all the musicians equally serving the development of the music with excellent technique and imagination. The album continues in similar fashion, with every piece built around structures that pass through often contrasting rhythms and musical styles with ease, highlighting the tight interplay of the group more than the individual contributions of the musicians, that still have ample space for expression. II opens with Orzechowski’s classically inflected piano, showcasing his precise rhythmic approach, with slight diversions that keep the proceedings on the edge, between contemporary austerity and avant jazz sensibility. III is built around a fluid bass solo by Wykpisz, interrupted by blasts of noise by the rest of the group, finally dissolving on a dissonant coda. On the following IV, the base of arco bass and sweeping percussions support the beautiful melody stated in unison by piano and saxophone, for a more traditional musical approach. The album then ends with V, a finely crafted piece developing through surprising rhythm mutations and changing moods that keep pushing in different directions, providing an exciting frame for Śliwa and Orzechowski’s digressions, and ending with a powerful drum solo by Fortuna. 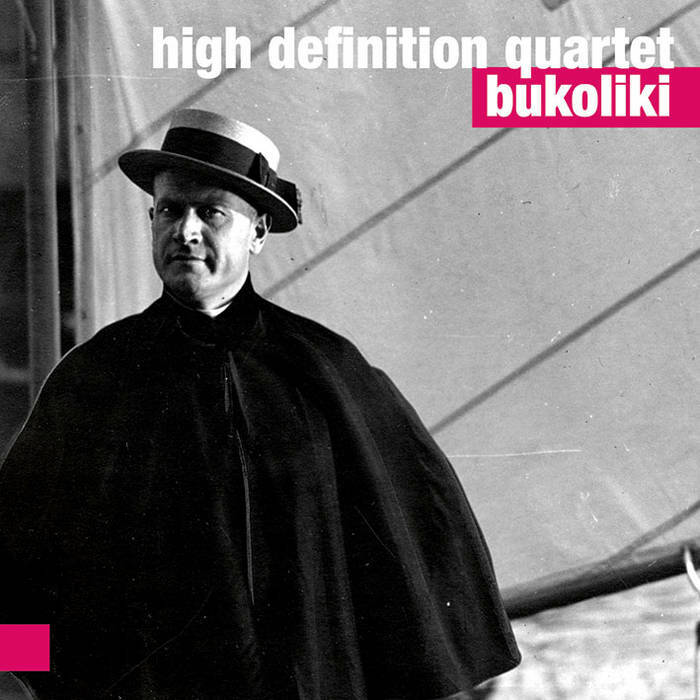 Bukoliki is a record that shows once again the excellent state of today’s european jazz, and despite many different musical situations and stylistic turns, it has a cohesiveness that keeps it engaging until the last note.